WOW2, Software Filter from Sugar Bytes. 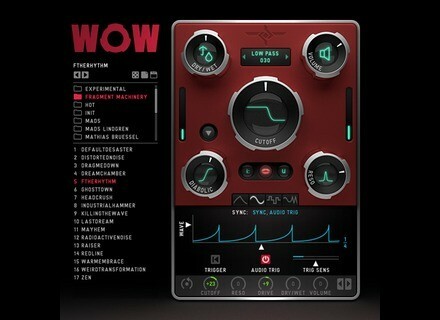 Sugar Bytes has announced the release of the second version of its WOW filter plug-in for Mac and PC. 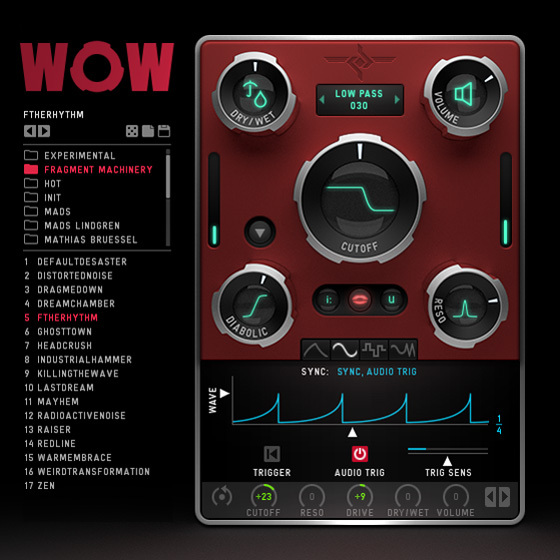 WOW2 is available in VST, AU, RTAS and AAX formats for Mac OS X and Windows. Its price is 99€ / $99 and you can download a trial version from www.sugar-bytes.de. 75% off AmpliTube iOS app until July 22nd For four days only, you can get the AmpliTube iOS app for less than $5 / 5€.